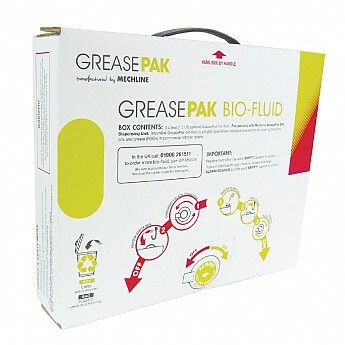 The GreasePak Dosing Fluid is a strong yet environmentally-friendly bio-enzymatic fluid which is designed to degrade FOGS (Fats, Oil and Grease) via connection to the GreasePak dosing module (CC578). The 5 litre fluid bags will last for one month of continuous use, and can be safely and conveniently replaced without any technical requirements, so that anyone at home or work can do it. The fluid works by a process of biodegradation, helping to keep our environment clean and healthy whist saving costs.